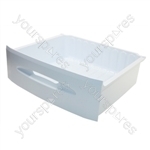 We have a fantastic selection of Ariston Fridge and Freezer spare and parts. Choose a part type like Baskets, Door Handle, Drawer and Hinges or from popular Ariston Fridge and Freezer models including Ariston 1400IUPBROWN, Ariston 1400IUPWHITE, Ariston 1400KUP, Ariston 140IUP and Ariston 140KUP. Genuine replacement part, so no issues there. Competitive pricing and quick delivery. What I like about yourspares is that the description left me 100% confident that I had ordered the correct parts. Other online suppluers jyst left me confused as to whether the parts were correct. Fantastic service and the part was just what was required although it was slightly different from the original so just had to change one of the bolts to a screw head rather than a nut head. Highly recommend for value for money.